What astounds me every time I go through the Canal is that here is something that was built a hundred years ago, and it still works exactly the same way it was designed to work. We live in a throw-away society. How long does a toaster last? If you’re lucky, one or two years. Every few years you dump your old computer and monitor. Your printer is broken? It’s cheaper to throw it away and buy a new one, than try to fix it. But here is this engineering marvel, still working after a hundred years … working twenty-four hours a day, 365 days a year. 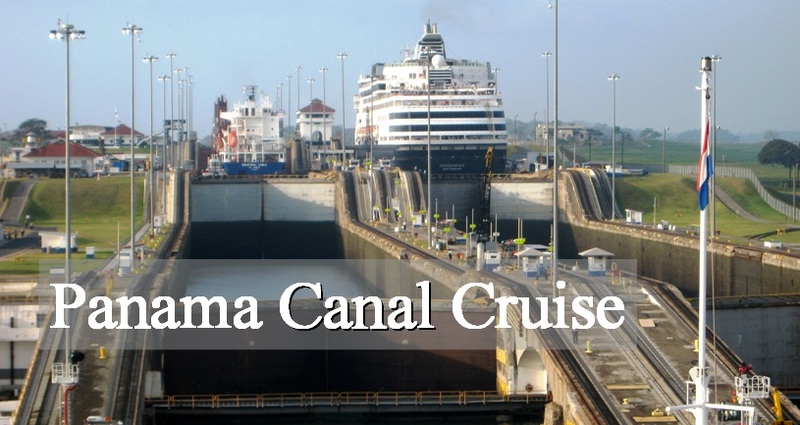 When we owned travel agencies, we always gave clients who booked Panama Canal cruises a copy of David McCullough’s definitive Panama Canal book, The Path Between The Seas: The Creation of the Panama Canal 1870-1914. It took me a while to realize that, although it is the definitive story of the Canal, it is also a long and heavily footnoted historical tome, so in many cases folks just stuck it on their book shelf. I had a captain once tell me, “Richard, I’m trying to read it, but I keep falling asleep.” I told him to stick with it and once he got through the first 150 pages, he’d be hooked … and he was. But since 1914, over a million ships have passed through the Canal, the Canal Zone has ceased to exist, and the Canal has been returned to the people of Panama. The Canal is being massively expanded, and even while the expansion is being completed, engineers of the Canal de Panamá are beginning plans for yet another expansion that will be able to accommodate the newest and largest class of container ships yet, ships that carry over 18 thousand containers. I’ve always been amazed at how many cruise ships continue to play McCullough’s video about the Canal … which was filmed on a Royal Viking ship. A lot has happened with the Panama Canal since Royal Viking went out of business in 1998. Nothing against McCullough, who is one of my favorite historical writers, and who has written what is, unquestionably, the authoritative history of the United States building the Panama Canal, but Panama, the Canal, and the world have changed since 1914. While lecturing on ships transiting the Canal, I realized that there was a need for a simpler and more current book, a book written for cruise passengers that included information about Panama as well as information about the Canal. I wanted to write a book that would be helpful to folks planning a Panama Canal trip, as well as serve as a guide during the voyage. Unlike McCullough, who is a fantastic historian, I’m not a historian. My challenge is to take this enormous story and distill it down to an interesting tale, which will be a “page turner” for you, and will give you information that will make your day in the Canal more meaningful and memorable. I had just completed a lecture in the show lounge on a ship scheduled to transit the Canal. After the talk, as I walked out of the lounge, I was behind two ladies, both in their early 60s, and I overhead one say to the other, “I didn’t know the Canal was man made.” Here these gals were, taking the “bucket list,” trip-of-a-lifetime through one of the great wonders of the world, and they didn’t have a clue! The Q&A sessions on board ships are great fun … except when I get questions like, “Is Panama like a territory of the United States?” The more you know about Panama and its unique place in the world, its complicated relationship with the United States, and the history of the Canal, the more you will enjoy your cruise between the oceans.